In 1998, Tufts purchased the Veterinary Treatment and Specialties practice in Walpole, Massachusetts, to create a satellite teaching clinic offering specialty medicine and overnight emergency care. And the school didn’t stop there. In 2012, it broadened its community impact and enhanced the reach of its teaching by launching Tufts at Tech Community Veterinary Clinic. 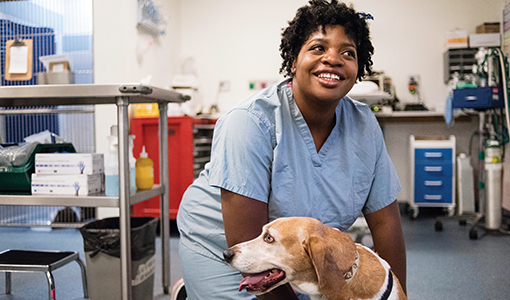 Based at Worcester Technical High School, Tufts at Tech provides primary veterinary care to pets of low-income clients, while training Cummings School and Worcester Tech students. In just five years, the clinic has treated more than 25,000 pets and helped teach 500 students, winning national recognition for its work. The first-of-its kind partnership already has inspired the launch of several similar programs around the country. That is called leading the way.